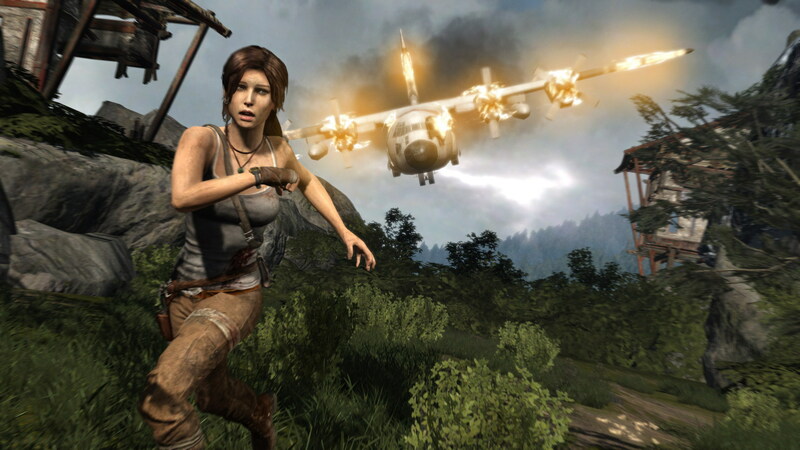 Lara Croft in Rise of the Tomb Raider, a female character who was written by women who are crucial to the gaming industry. Sometimes it is good to get to know the faces behind the games we love. In the gaming industry, and particulary in the PC scene, there are certain titles we all recognize. Games such as World of Warcraft, The Elder Scrolls V: Skyrim, and League of Legends are household names and, thus, legendary in their own right. However, as fond as the community is of some of these titles, there is a tendency to accept the playing experience for what it is on the surface, instead of understanding why or how that experience can exist. Often, little recognition is given to those who helped the games come to life. That includes developers, designers, writers, and countless others who contribute to the creative process. Women in the industry are especially overlooked. A common misconception is that there are no women in the industry and, in fact, very few women have an interest in games at all. Here are several very cool examples of women in the gaming industry to prove those stereotypes wrong! Samantha Kalman is a Seattle-native. Samantha Kalman is an up-and-coming indie game developer who is no stranger to technology. Besides creating games, she founded Timbre Interactive, helped in building the prominent Unity game development engine and toolset, worked as a contract technical writer for 4 years, possesses outstanding musical abilities, and even designed prototypes for Amazon’s Kindle UX systems. Still, her attention currently sits in independent gaming. Her first game, Accelematrix, was released in August 2007 after a single weekend of development and is an intentionally quirky and “B” movie-esque experience. Her most recent project, however, has been in progress since April 2013. It is called Sentris – a play on Tetris, the classic puzzle game from 1984. Sentris, too, is a puzzle game, but instead of working with simple tiles, it functions as a musical instrument based on the placement of certain Sound Blocks. Very few video games have attempted what Samantha Kalman is with Sentris; creating actual musical structure and beautiful harmonies from solving a color-matching puzzle seems impossible, especially if they player has never touched an instrument a day in their life. But she is confident in Sentris’ ability to help anyone compose something pleasing to the ears, having actually implemented a way to export your game-made songs to a .WAV file. On the other end of the spectrum, if you are someone who has musical experience, Sentris offers several levels of difficulty and various modes that allow the player to focus on either puzzle-solving or musical composition based on their preference at that time. Presently, Sentris is on Steam Early Access in its final prototype before being fully released, and Kalman remains hard at work. An industry veteran, Rhianna Pratchett has written for more than a dozen video games since 2002. Her expertise in scriptwriting and narrative design is found in many popular AAA titles, such as Mirror’s Edge, Thief, Bioshock Infinite, Heavenly Sword, and the Overlord series by Codemasters. Pratchett’s most famous affair, however, is her work for the Tomb Raider series. Along with building the narrative of the 2013 release Tomb Raider, she is the lead writer for the upcoming Rise of the Tomb Raider release, and has contributed to multiple Tomb Raider comics. 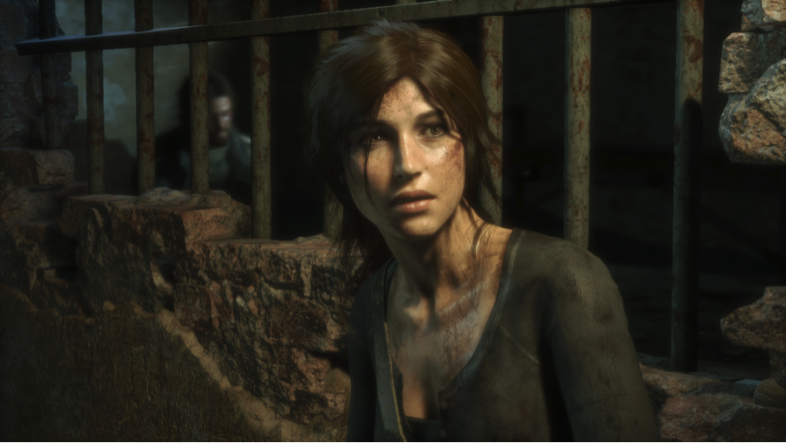 Crystal Dynamics, the publisher of Tomb Raider, have credited Pratchett with perfecting their celebrated female protagonist, Lara Croft. Consequently, she was nominated for the WGGB Best Videogame Script in 2013 for her work on Tomb Raider. Rhianna Pratchett is a favorite among fans. In fact, after the E3 announcement of Mirror’s Edge 2, an online petition was created to ensure she writes its script! Her talent is perhaps a result of being the daughter of famous fantasy writer Terry Pratchett. Best known for his Discworld novels, which more than 80 million copies of have been sold, Terry said he would love for Rhianna to continue the series once he is unable to and appointed her as custodian of its properties. Rhianna’s career began in journalism before focusing on narrative design, but she also has experience in television writing, documentaries, and voice-acting direction, making her a well-rounded and valuable member of the gaming industry. Another indie darling, Christine Love is admired for her outstanding visual novels, of which she both writes and develops. Her most popular work is Digital: A Love Story, an interactive fiction game with an interface that channels the 1980s’ Amiga operating system. While the game’s appearance is a cold homage to early computers, its storyline is heart-warming; the silent protagonist, whose identity is never specified, falls head over heels in love with a girl they met through an online messaging board, and together, they proceed to solve technological mysteries. Love was praised for immersing players into the Digital world. By creating a silent protagonist, she opened up the story to resonate with all players, and, thus, created a more emotional experience. Critics recognized that its realistic interface, too, could be as frustrating as it was back in the 80s. Digital: A Love Story was chosen as the runner up to Gamasutra’s “Best Indie Games of 2010” and IndieGames’ “Top Freeware Adventure Games of 2010” lists. Before Digital, Love was a writer first, only dabbing into small games. 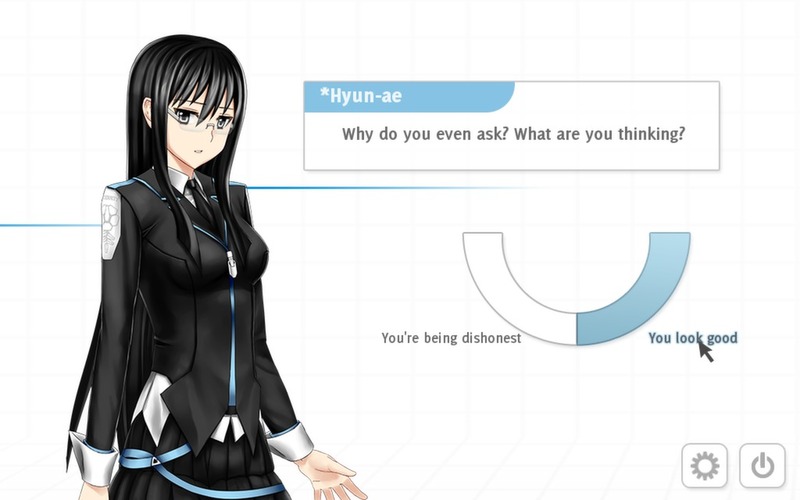 She now considers herself an indie game developer due to the success of Digital, and has created several more visual novels and even a commercial dating simulator called Love and Order since. Technology and its intermingling with human relationships still seems to be Christine Love’s prime inspiration. She published don't take it personally, babe, it just ain't your story, the spiritual successor to Digital, as a free download in April 2011. Set in a 2027 high school, it examines the ethics surrounding and pure existence of privacy on the Internet – a natural progression from where Digital left off. Most recently, Christine Love brought Interstellar Selfie Station, a cute 2-bit photobooth app, to iOS and Android. She is also working on her next full-length game, Ladykiller in a Bind. Susan O’Connor is a script-writing giant in the gaming industry. Her work began in 1998, and in that time, she has contributed to over twenty games that, together, have garnered more than one billion dollars in profit. In 2013, she collaborated with Rhianna Pratchett, number two on this list, to form the origin story of Lara Croft. Prior to that, O’Connor earned notoriety for her work on the first two games of the Bioshock series. For the original, she won the “Best Writing Award” at GDC, which she was later nominated for again after writing the Far Cry 2 script. Star Wars 1313, another piece of O’Connor’s extensive resume, was nominated for over 30 awards at E3 and won 10 of them! It is safe to say that Susan O’Connor is familiar with big, blockbuster hits in gaming. Furthermore, she is a renowned speaker at equally as large industry events. She has hosted TED talks, lectured at events like SXSW and the Austin Film Festival, and founded the Game Writers Conference herself in 2005. O’Connor’s influence can be felt in all corners of the industry, and, as an innovator as much as a writer, more valuable work is sure to come from her way. Carol Shaw is celebrated as being the first female video game developer of all time! While working as a Microprocessor Software Engineer at Atari, she created two very early games: Polo in 1978 and 3-D Tic-Tac-Toe in 1979. 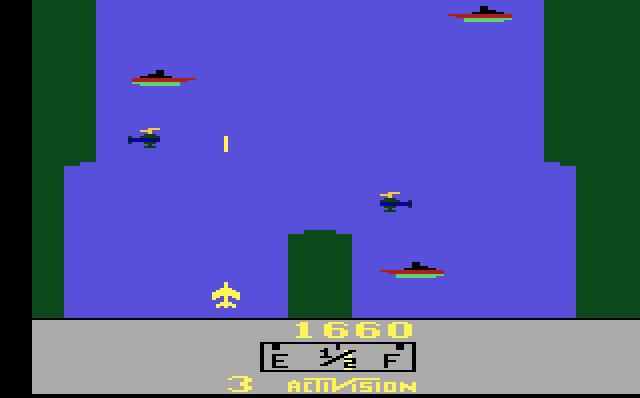 Nevertheless, Shaw found the most success with River Raid, which she programmed for publisher Activision. Players play the game in a top-down perspective and control a fighter jet that gains points by shooting enemies. It sold more than a million cartridges for the Atari 2600 console. Shaw spent time working for Tandem Computers before joining Activision in 1982. Other notable games she programmed include Super Breakout and Happy Trails for the Intellivision console. Later on, Carol Shaw returned to her position at Tandem Computers, until 1990 when she could retire. Her early retirement was only made possible by the success of River Raid. Since her retirement, Shaw spends her free time doing voluntary work and lives in California at the moment.